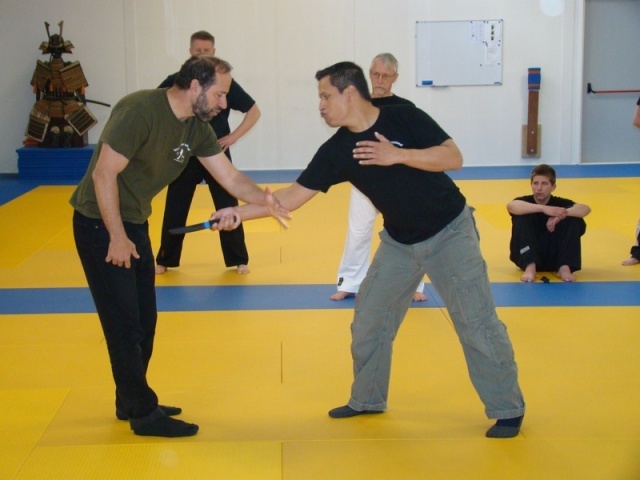 Training in knife defense, IKI seminar Holland. After every tragedy, whether it is a school killing in the USA or a terror attack in Israel, there are those who seek unity and there are those who are accused of seeking whom to blame, or "pointing fingers". After every defeat in battle there are those who say let us mourn, this is not a time to be looking for someone to blame. I have already expressed my point of view on this matter and I shall do so again. What some call "seeking someone to blame" and "pointing fingers" I call growth and improvement. Lets' take an analogy. A nuclear power plant, something goes wrong and there is an explosion. Thousands are dead. People say..."We demand an investigation, we want a commission of inquiry to know what went wrong!" And other voices say, "No, this is not a time for seeking blame, this is not a time for pointing fingers, this is a time to mourn and to express our unity". Reminds me of a Monty Python comedy where a knight comes to a wedding to save a damsel in distress and goes around waving his sword and killing people. When the carnage is done someone says "This man cut off the bride's father's head! ", and another responds, "Now, now, this is a happy occasion, lets not bicker and argue over who killed whom". It is a comedy but this is exactly how many behave today. After the 1973 Yom Kippur War disaster where the Israeli leadership along with their American accomplices allowed a massive Egyptian and Syrian attack that left nearly 3,000 Israeli dead soldiers, nearly 9,000 badly injured and close to 300 languishing in enemy POW (prisoner of war) camps, the Israeli public demanded to know "Who is to blame". The result was a commission of inquiry and the forced resignation of the Israeli leadership, in shame with their once proud heads hanging low. Yes, we need to know whom to blame. It was a time of national mourning, I remember it well. We lost a teacher in our school, we missed months of school...we volunteered, kids cancelled their bar mitzvah celebrations, there was total unity, there was mourning but there was also seeking...What the hell went wrong!!! Now lets' be clear, it is not a matter of needing to shame someone, no. It is a matter of learning lessons so we can avoid these mistakes in the future. "Seeking blame" implies removing the responsibility from ourselves. It it like a child saying "See, he did it, he broke the Chinese vase, not me, I am not to blame". No, we are seeking blame to know what went wrong, our sole purpose is to derive lessons in order to prevent this happening again. It is not about "blame", it is about learning and moving forward with a better plan. This is not about ego. This is not about "I told you so". This is about lets' be mature enough to learn from this and not repeat our mistakes. Those who say, "this is not a time for pointing fingers" are perhaps afraid that the fingers will be pointed at them! Despite our pain we must look to see what was done wrong, what was done right and what could be done better in the future. This is the military mindset. Commanders do not sit and cry over the dead, they wipe their tears and get to work and ask, What went wrong and how can we fix it? Yes, after every terror attack we must point fingers and we must ask what went wrong? How can we improve? Those who call it "the blame game" are missing the point. That phrase implies...If I can find someone to blame for what happened then I am OK.
No, let us not use words to confuse people, this is not a "game" and it is not about "blame"; it is about learning hard lessons that will prevent the next tragedy, it is about waking up. 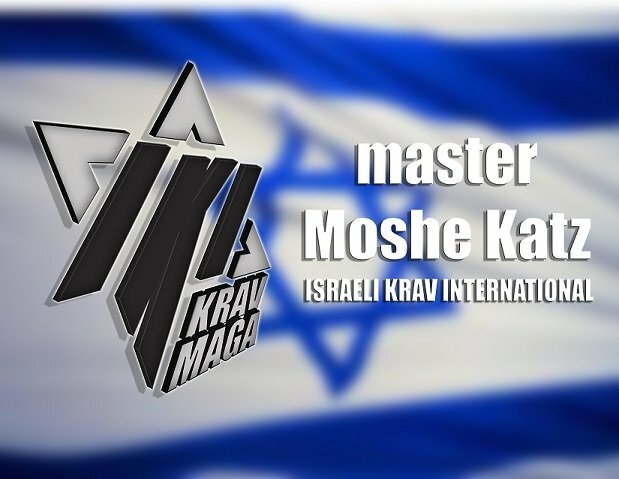 After every attack there is a sudden interest in Krav Maga, it soon passes. After every attack there is a sudden increase in awareness, that too soon passes. Face it, we are like those monkey's in the classic story; in the winter they cry about the rain and vow to build a shelter, as soon as it is dry. But as soon as it is dry and sunny they play and have fun, and then next winter they face the same cold and rain. Again they will cry out in bitterness. Face the truth: We are no better than these monkeys! We simply do not learn anything. This is the point of these blogs that I take the time to write; to attempt to wake people up, to take action. Owning a gun is not a sufficient solution, Please see Guns and Krav Maga. Blaming others but not learning lessons is useless. Mourning and crying does not prevent the next attack. Unity is nice but unless it produces action, as it did in 1973, this too is useless and futile. It is all useless. It is like chasing the wind. Now I have a challenge for you, a test. Find someone you love, your son, your daughter, a wife, husband. Look them in the eyes, hug them, and then ask yourself: I am wiling to lose them today? Am I prepared to bury them tomorrow? Am I willing to stand at their grave as Natan Meir did yesterday for his dear wife, as Renena Meir did for her dear mother? Am I willing to do something about it? You may say to me, "How callous of you! Let us mourn, let us cry, let us hug each other and seek unity, this is not a time for such talk!! Do not use this as an opportunity to promote self defense". And I will look back at you, with pity in my eyes, whoa unto such a people. Pity. What can I say to those who cannot see the writing on the wall. This is not how the State of Israel was built, no, not at all, study your Israeli history. The survivors of the Holocaust came home to Israel, shattered lives, and they got to work. They fought wars, they buried friends, sons and daughters and said, "Bury your dead, we have a state to build". There was not even time to mourn. This was a strong people and from each tragedy we grew stronger. The time to learn is at the moment of tragedy when the evidence is fresh. Seek "blame"? no. Find fault? Yes! Now remember my challenge. Look at a loved one, kiss them, hug them, and then ask yourself; what am I willing to do to keep them alive? What am I willing to do to avoid burying them tomorrow? Now can I find some time to train? Harsh words? Yes indeed. But it is not me you should blame, life is harsh, our enemies are ruthless, either we rise to the occasion or we sink to the grave. Life or death, the choice has been give. Krav Maga DVDs. Step by step and easy to follow.